WASHINGTON: Raised on gospel, bathed in rhythm and blues and fluent in jazz and pop, Aretha Franklin came to be known as the “Queen of Soul” through seven decades of electrifying performances. From her father’s church to the hallowed grounds of the US Capitol, Franklin sang for parishioners and presidents and left her mark on music fans everywhere. Franklin died on Thursday in Detroit where familiy and friends had gathered during her final days, her publicist told US media. She was 76. Perhaps best known for the vocal power behind her feminist-tinged cover of Otis Redding’s “Respect”, Franklin was an inspiration for two generations of pop divas. Her bell-clear voice with its four octaves found its way into the styles of stars such as Mariah Carey and Whitney Houston — whose mother, Cissy Houston, was a backup singer for Franklin — to Alicia Keys, Beyonce, Mary J. Blige and Amy Winehouse. Her first recording — “Spirituals” — came out on a local label in 1956 when she was just 14 years old. “Respect” soared to number one in 1967, topping the charts for weeks and being adopted as the anthem of the civil rights and the women’s equality movements. 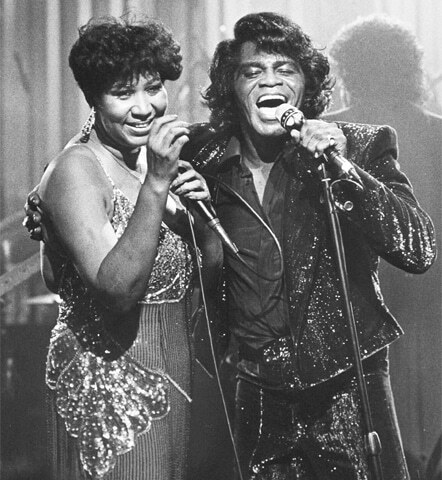 Winning her the accolade “Queen of Soul” it brought her the first of 18 Grammy Awards; Rolling Stone ranked it number five on its list of the Greatest Songs of All Time. “If a song’s about something I’ve experienced or that could’ve happened to me, it’s good. But if it’s alien to me, I couldn’t lend anything to it. Because that’s what soul is about — just living and having to get along,” she told Time magazine in a 1968 cover story on her explosion into the mainstream. By the mid-1970s her style got lost in the disco explosion, but by the 1980s a revival of interest in old-style R&B brought her back into favour — as did a cameo performance in the film The Blues Brothers where she sang “Think”. She followed that up with hits like “Freeway of Love” and, with the Eurythmics, “Sisters Are Doing It For Themselves”. Her personal life was a struggle, however. As an unmarried teenager, Franklin gave birth to a son at 13 and another two years later. She had two more sons and was married and divorced twice. She had lifelong battles with her weight and with alcoholism. She also sang at the October 2011 dedication of the King memorial in Washington, stirring the crowd with a rendition of the gospel anthem “Precious Lord”. 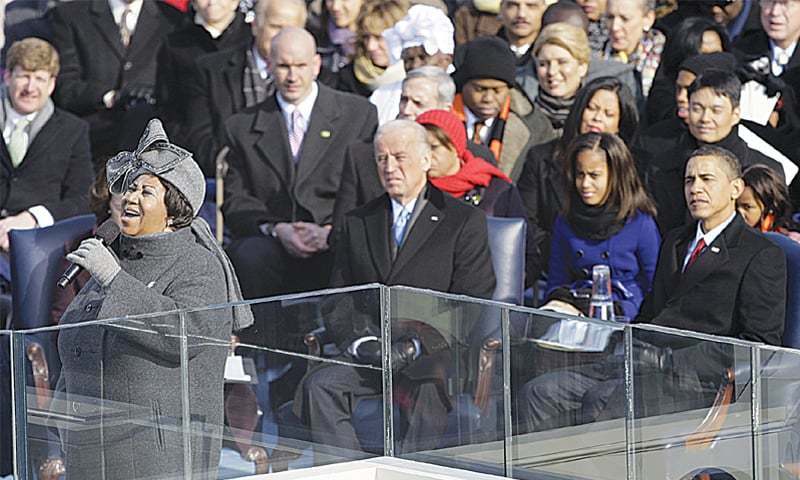 She performed at the inaugurations of two US presidents, delivering a stirring rendition of “My Country ‘Tis of Thee” at the January 2009 ceremony for Barack Obama, the first African-American president, while wearing a widely remarked grey hat with a big bow. And in 2015 she sang “Amazing Grace” before Pope Francis as he visited Philadelphia for the massive Festival of Families. “She has taken on many roles — the devout gospel singer, the sensual R&B siren, the pop crossover phenomenon, Lady Soul — and dominated them all,” the Hall said in its biography. She was a recipient of the Kennedy Center Honors in 1994 and in 2005, the Presidential Medal of Freedom, the highest US civilian honor. Franklin continued to perform into the 2000s, holding court — and holding her own, vocals-wise — with in-their-prime pop divas. She released an album of duets with Houston, Carey and Blige in 2007 and covered Adele, Barbara Streisand and Sinead O’Connor tunes for the 2014 album “Aretha Franklin Sings the Great Diva Classics”.